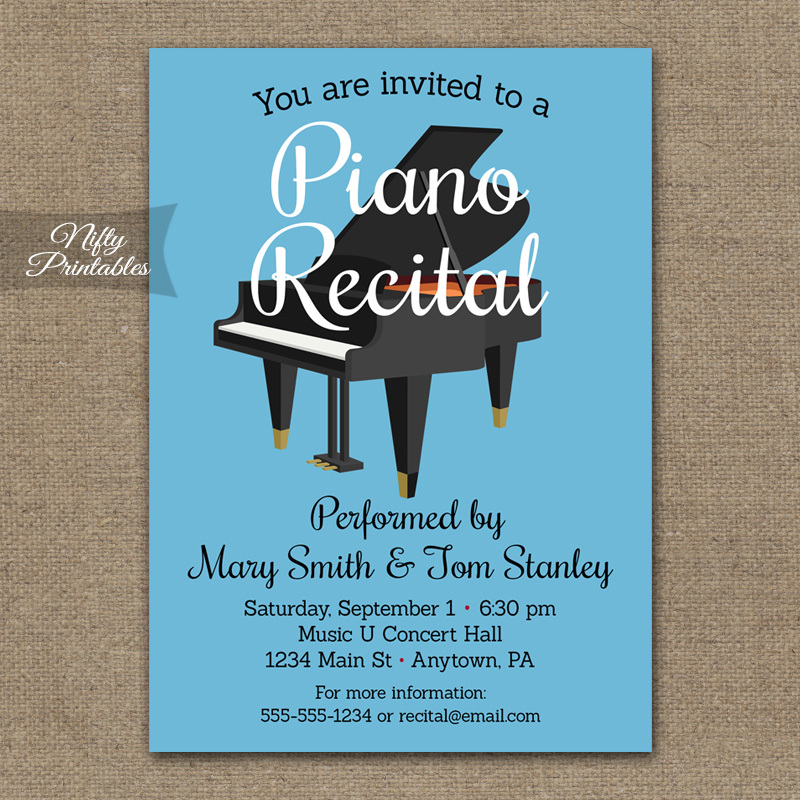 A fun and colorful piano recital invitation, customizable for concerts, orchestra events or any musical themed gathering. You Get: One invitation in digital form (PDF or JPG) to print at home or take to a printer. How This Works: Within 24 hours after ordering I'll email you a proof for approval/revision. Once approved, I'll email you the final file. Always make sure to check both Inbox and Spam folders for my emails, please. For info on ordering & printing read the FAQ. PDF: 2 per page • for home printing, print shop or Staples/FedEx/etc.